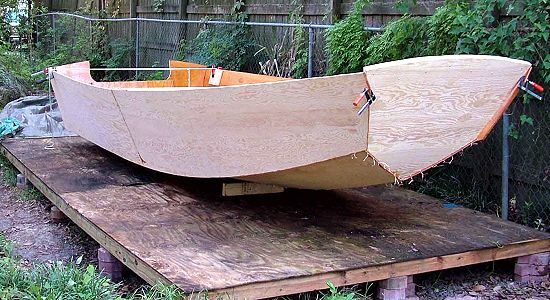 As of January 1, 2007 I have progressed thus far: I have stitched together the hull. I have epoxied the interior joints. I have installed the interior sheers utlilizing mahogany. 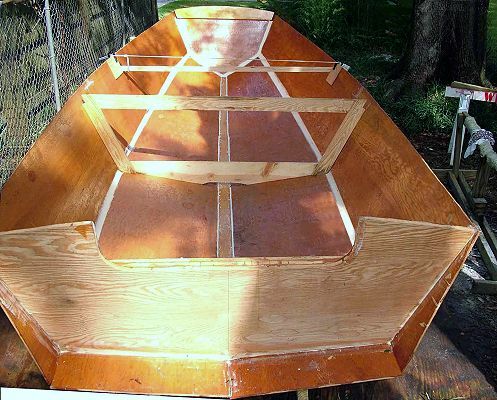 I am now in the process of fiberglassing the interior seams. 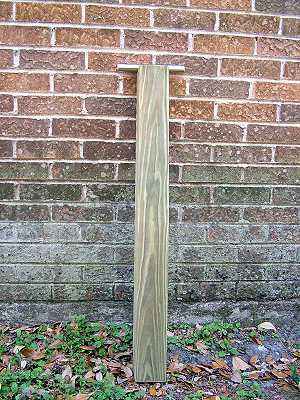 The 4” X 4” X 3’ Sampson post is pressure treated Southern Pine. I had to wait two months after the pressure treatment in order to stain the wood with a marine grade Red Mahogany stain. The cross bar is 1” diameter stainless steel eight inches in length. The edges at each end of the bar were beveled. 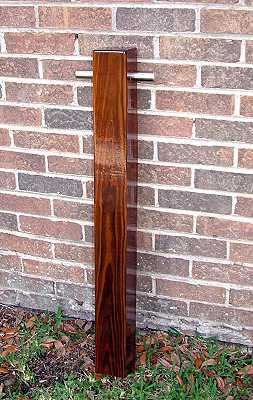 The two photos above are the Sampson Post before and after staining and drilling. We sold one of our cars so this freed up garage space for me to transfer to boat to the garage and finish it there. 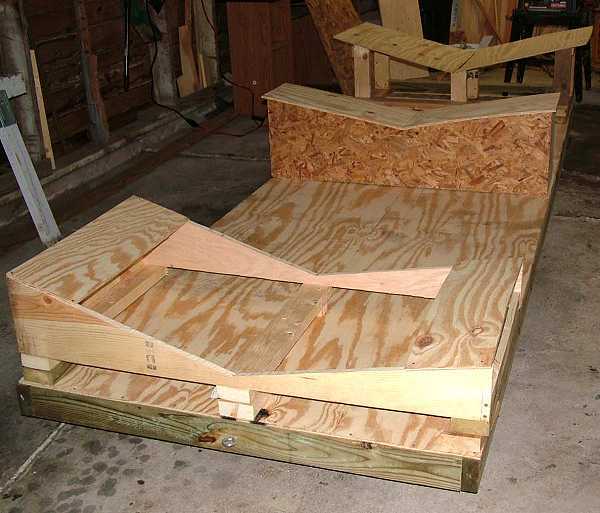 Here is a picture of the wheeled platform I built to mount the boat on during construction. 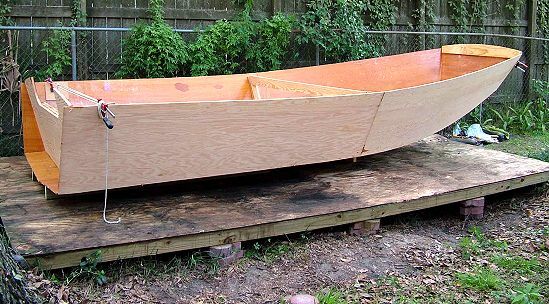 I am now making cradles to set on the platform to support the boat while working on the inside. 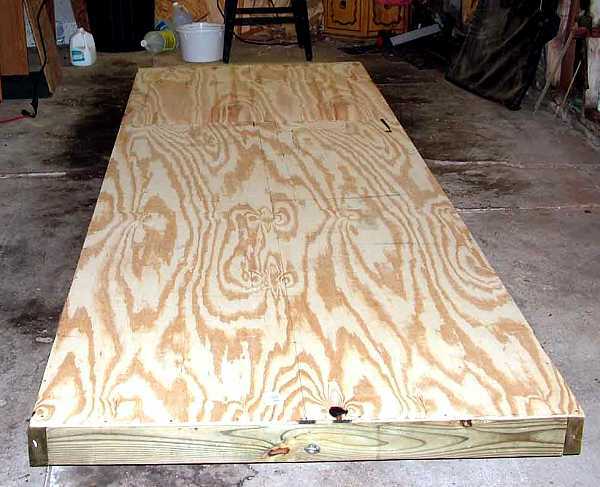 The platform is 4 feet wide and 12 feet long so there will be a little overhang.